Zuca Ice Garden is one of our most beautiful bags. Swarovski Crystals as well as a beautiful frost design combine to look like your Zuca bag just froze over. Beautiful color combination of Blue, Purple and White make this bag match up with almost every Zuca frame in the collection. 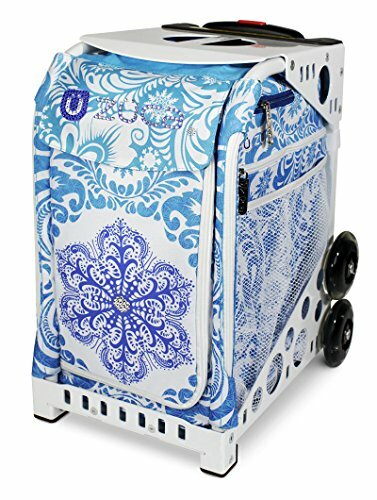 Limited to only 300 being made, this bag is truly a unique piece of luggage that will turn heads at school or at the ice rink.